But changing over your wardrobe for the colder weather and buying new costumes for Halloween can be unnecessarily wasteful and expensive. 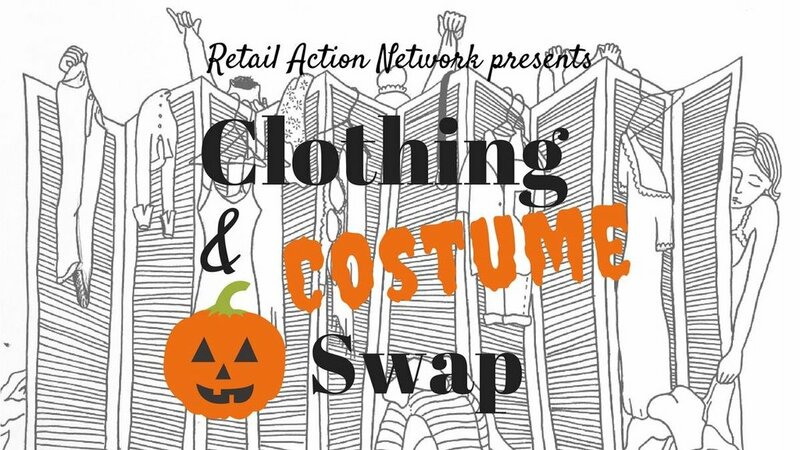 That's why Retail Action Network is hosting a (FREE) Clothing and Costume Swap! 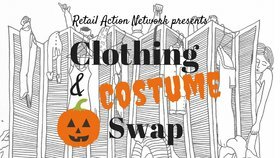 Donate your gently worn clothes, shoes, accessories and Halloween costumes, and in exchange, find some new-to you items. Participating in a clothing swap means less energy and resources go into the production and transportation of new clothes, and less money goes to supporting corporations who may not be paying their workers a fair wage. Mirrors, changing rooms, and good tunes will be provided. Childcare is available. If you have clothing/shoes/accessories/costumes to donate ahead of time, you may drop them off at the VEC anytime during the day on Friday October 20th. Please no household goods, books, etc (it must be wearable to be at the swap). Suggested donation is a sliding scale from $2-$5 (no one will be turned away for lack of funds). 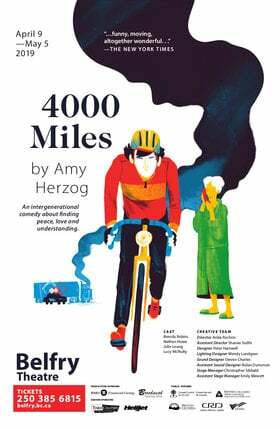 This event is open to all ages and gender identities. 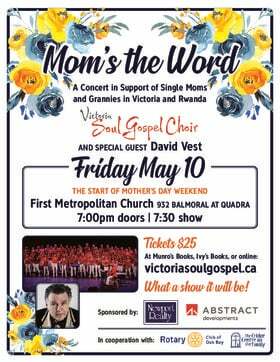 - This is a free event; donations are gratefully accepted. - Bus tickets are available by request to help cover transportation costs. - There is an elevator available, however there is no wheelchair accessible washroom. - Washrooms will be made gender neutral. This event is taking place on unceded Lkwungen Territory.